The Luna Soul SS16 collection by ChloBo is a celebration of the universal and awe-inspiring presence of the moon, wherever you are in the world. A source of inspiration and illumination, the enduring power of the moon guides us all through even the darkest of nights. This stunning ring by Chlobo is made from 925 Sterling Silver plated with 18ct Rose Gold. 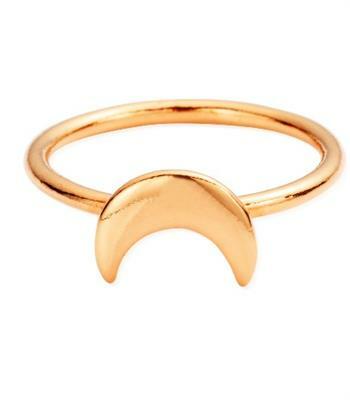 Wear to be reminded to reach for the moon.